Fresh air, one element of boating that makes the sport so popular, is always available to boaters on outside decks, but below decks on cabin cruisers, clean, fresh air it is often at a premium, and the lack of it can create dangerous situations. The answer — ventilation! Boat owners are responsible for keeping vessel ventilation systems in operating condition, which means making sure that ventilation openings are free of obstructions, that ducts are not blocked, and that blowers, if equipped, operate properly. Boat ventilation is provided by strategically placed ports, hatches, cowls, or clamshell vents, or a combination of the types. This equipment is used to exhaust stale air out of boat cabins, engine compartments, and enclosed spaces, and to force fresh air through the vessel. 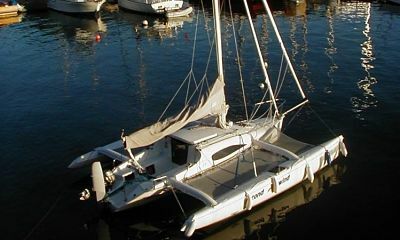 The type of ventilation depends on boat type, deck layout, and cabin size/configuration. In warm climates, particularly on underway sailboats or motor cruisers, ventilation is key to a safe and comfortable cruise. Just as important is how a boat is ventilated when moored. On most outboards, the ventilation system is very basic and consists mostly of a pair of clamshell vents affixed to the gunwales. These vents, one facing forward, the other facing aft, allow air to enter and exhaust the bilge and tank compartments. Its simplicity requires little care or maintenance, but the vents should be checked before every voyage. On the other hand, on boats of any size with cabins, ventilation is considerably more complex, and often accomplished by using fans and blowers. Airflow inside a cabin is affected by open/closed doors, and by the amount and location of equipment, stowed gear, and bulkhead arrangements. Also, operators should realize that venting characteristics and the airflow can change while underway and it is good practice to check how air is flowing several times during a cruise. On a vessel of any type, cowl and clamshell vents, ports, and hatches are each designed to perform a specific job, and each has its benefits and disadvantages. For example, when underway, an open, forward-facing hatch invites water and, even in calm seas, chances are that a wave will spray the cabin top and the water will wend its way below, usually into a berth or onto a table. And, in most applications, a cowl vent can be easily turned to face into or away from the wind, depending on whether it is used to let in or exhaust air. Clamshell vents are generally fixed, cannot be adjusted, and are used for most passive ventilation needs. Air inside a sealed boat is usually much more humid than outside air and permeats everything inside. Stale air creates the potential for rot, corrosion, mold, and mildew, which damages interior equipment, furniture, upholstery, finishings, and stowed gear. As with opening two opposite windows in a house to achieve cross ventilation, two ventilators on a boat work well to move wet air out and dry air in, letting the cabin breathe when moored. Effective closed-cabin ventilation can be achieved from cowl vent or hatches used in pairs, one facing forward, the other facing aft. In nearly all conditions, this establishes an adequate flow of air — in one vent and out the other. Because hatches are usually flush with the boat’s deck, using them for ventilation also creates the potential for rain, insect, and rodent intrusion; cowl vents can also allow water to get into interior spaces. Several products are available to protect a boat from these intrusions. Federal regulations require that boats using gasoline or diesel fuel for electrical generation, mechanical power, or propulsion be equipped with a ventilation system. The good news for boaters is that boat manufactures follow strict ventilation system design and installation standards that are federally mandated. In general, as long as a boat ventilation system is not altered, and periodic maintenance and cleaning are performed, the system will work as designed. Any discussion of boat ventilation should include information about the “silent killer” — carbon monoxide. Carbon monoxide is a colorless, odorless, tasteless gas which is just as deadly on the water and as it is on land. The gas forms from the incomplete combustion of gasoline or diesel fuel and is controlled by keeping a constant flow of fresh air throughout a boat. The danger from carbon monoxide is created when air loaded with the gas becomes trapped inside a boat and is not flushed. For center console boats, runabouts, pontoon boats, jet skis, and other open-deck vessels, carbon monoxide is not a critical issue, as these boats are always open to fresh air. However, on boats with interior cabins, the level of concern skyrockets. Exhaust fumes can enter a boat through any opening, especially when underway with a following (from the stern) wind, which pushes exhaust fumes into boat cabins. An open foredeck hatch, port, or front-facing window allows fresh air to dissipate and exhaust the gas. Install a marine carbon monoxide alarm system and test the system before every voyage. Know carbon monoxide poisoning symptoms, such as headaches, nausea, fainting, drowsiness, or dizziness and advise passengers about the symptoms. Before every voyage, with the engine running, look and listen for exhaust system leaks. Visually check exhaust system connection points for discoloration, leaks, and stains. Ensure that hatches, ports, and windows operate properly so they can be used when needed to exhaust stale air. Check exhaust system clamps for tightness and corrosion. Make sure ventilation system openings work properly and not obstructed. It may seem easy to overlook a vessel’s ventilation system because it is usually unseen, but some nosing around, literally and figuratively, can alleviate potential problems during a voyage. Likewise, understanding the causes and potentially serious effects of carbon monoxide poisoning will make for a safe, and fun, outing for all on board.